The following is a guest post by Ripley Daniels. I’m sure any of you who travel or even if you are very active and mobile in your own community will find these tips useful! All travelers are happier if they have less to carry. It just works that way. Moreover, airlines will charge you overage fees if your luggage is too heavy – i.e., if you’ve stuffed it full of books and papers. The solution is to pack whatever you can in lightweight electronic format. Scan the papers you need to bring along into pdf format (and back them up in some kind of Cloud format that you can access if you experience some kind of emergency that involves breaking your laptop or losing your backup drive). Bear in mind that you can use an iPod or MP3 player as a back-up computer hard drive, if you have one with plenty of extra space. Even if you don’t, it might be worth the investment to buy a used 16 GB iPod simply for storage purposes – iPods are about the slimmest, most lightweight, and hence most easily portable hard drives on the market. You’ll have no problem making room for one in your carry-on or laptop case. A resident email program on your laptop that will download your email for you to read and respond to offline. A travel email plan to keep you from getting bogged down reading junk email. You may want to set up a new email account purely for use while you are traveling. Then, configure your current account to forward only those emails that you know you will want to see. Or, arrange for an assistant or virtual assistant to check and respond to your email for you, forwarding to you only those emails that urgently require your immediate attention. A remote access plan to give you access to your home or office desktop computer while you are away. If you forget to bring a file that you have on your desktop, it may save you enormous time and hassle to be able to access your home computer. With a program such as LogMeIn or TeamViewer, you can not only pull up the files on your desktop from a distance, but you can also attach a file from your desktop to an email message – which can be very handy when you get a panicked call from a colleague asking if you have another copy of a document that you finished and sent off two months ago. Some types of remote access software will let you network your various devices – your desktop, your laptop, your mobile phone, or even a flashdrive, so that you can easily access files on any device from any other device. However, if your needs are more limited, and if you are running Windows, you may find that the built in Remote Desktop Connection in Windows is enough for you – check in the Accessories folder of your Start menu. A program like Mozilla Firefox’s Read It Later add-on, which will allow you to save interesting sites on the Internet and find email marketing lists that you can refer to when you return home and have time to putz around on the Internet again. A program such as FeedDemon that will download updates to websites that you regularly read, such as newspaper websites, for you to review offline. A shared online workspace, such as Huddle. A workspace such as this can be a centralized way to do many of the ideas that I’ve suggested individually – many such programs offer whiteboards, file sharing, telephone conferencing, and can integrate with calendar programs. A place to store shared notes and documents. This could be the shared online workspace mentioned above, or it could be something simpler, such as an Evernote or Stixy account that you set up for a particular project. An Evernote account will allow you to store notes, webpages, copies of pdf documents…anything. Or you could set up an online Wiki file for your project, allowing all the members (or just particular members) of your team to make changes to your project guidelines, for example, as needed. Evernote is set up for individuals, but Stixy is meant for teams of people collaborating together. Try using online collaborative brainstorming or writing software, such as Wridea , Writeboard, ReviewBasics, or EditGrid – there are many such applications out there, and quite a few of them are free. Some of these applications, such as Writeboard, can also be used by an individual to save multiple versions of a document, making it easy for you to roll back to an earlier version if necessary. You might want to set up an email newsgroup, such as Google or Yahoo Groups, to allow you to send information and updates about your schedule to many different colleagues simultaneously. Or have your friends, colleagues, and family members follow you on Twitter, and tweet to your network when you need everyone to know something that will fit into a short tweet. But be careful about publically available tweets when you are broadcasting potentially private information, such as dates when you will be away from home. 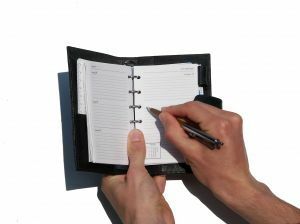 Finally, for colleagues, friends and family members who need to know your travel schedule and itinerary, it just makes sense to post your travel details on an online calendar, such as Google Calendar, that you can grant access to as needed. That way, if you are out of touch (on a plane or away from an Internet access point), your colleagues can still check to find out when you are due at a particular location. If you are using a shared online workspace such as Huddle, you might want to post your travel itinerary there, instead. Ripley Daniels is an editor at Without the Stress, a passport, travel visa, and immigration advisory firm located in Los Angeles. This is Nice for National and State Roaming. 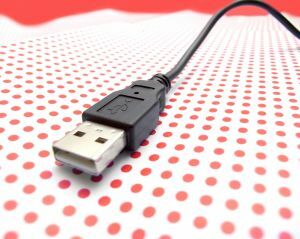 I will cary Usb device for My Mobile Internet. Great post, Ripley. Modern electronics have definitely made travel easier. Especially for me as the things I liked to do during long trips was mostly reading, listening to music or drawing. Now I can draw on my laptop or read my favorite books too. Not to mention added benefits now like being able to watch movies too. Great thoughts, I’ve used TeamViewer many a times to access my home desktop, its definitely saved me quite a bit of hassle! My company uses ScreenConnect (http://www.screenconnect.com) for all our remote desktop and remote support needs. I’d definitely recommend it for companies that want to start supporting their workers and customers remotely. For remote access, I use logmein which I’ve found to be very reliable -even the free version!